Toyota Gazoo Racing were back on form in Shanghai following a surprising setback in free practice, comfortably securing pole position for tomorrow’s six-hour race. In GTE Pro, Ford were quickest on average lap pace to secure pole, while championship leaders Jackie Chan DC Racing will start the race from LMP2 pole. 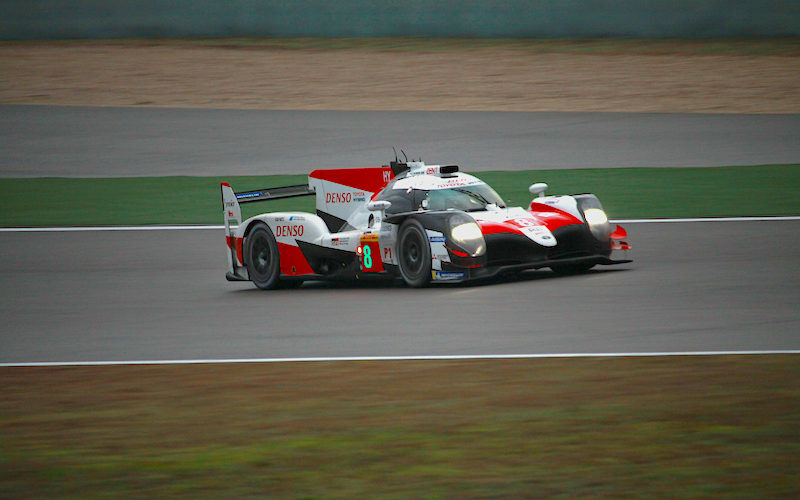 The quickest lap of the twenty-minute session was posted by Japanese driver Kamui Kobayashi in the #7 TS050. The lap time of 1:42.708 proved to be a solid basis for teammate Mike Conway to wrap up the pole position and ramp up the pressure on the sister #8 in the internecine championship battle. The #8 will start the race from second, but it was André Lotterer who posted the second-fastest time of the sessions – a 1:42.869 – for Rebellion Racing. The #1 car of Lotterer, Senna and Jani was the best of the privateers and will start the race in third position. Jackie Chan DC Racing continued on its post-Le Mans upward curve, once again taking its third pole position in succession at the team’s home race. The pair of Chinese-entered Orecas looked to be perfectly set up for the 5.451-kilometre circuit to lock out the front row in class. DragonSpeed was around one second further back in third. Ford took its third pole position of the season in GTE Pro with a fastest average lap time of 1:58.627. BMW showed some significant improvements on its poor free practice form, taking second position on the starting grid for the Six Hours of Shanghai. The #95 Aston Martin Racing machine qualified third fastest. Despite Ferrari dominating free practice in China, it was Aston Martin who secured the pole position in GTE Am. The Dalla Lana/Lauda/Lamy #98 car will start the race from pole, followed by the Dempsey-Proton Porsche in second and the Spirit of Race Ferrari in third.